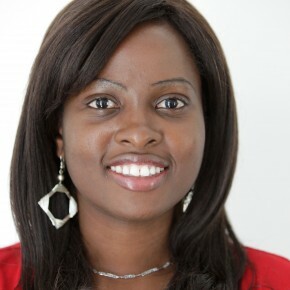 Idowu is a Postdoctoral Fellow at the Balsillie School of International Affairs in Waterloo, Ontario. She has a strong passion for interdisciplinary research on climate change, development, urbanisation, gender and human rights. In her work, she explores how individuals and societies respond to global environmental change and their different capacities for adaptation and transformation. Her current research focuses on justice and accountability frameworks in climate change adaptation. Idowu holds a PhD in Geography and Environmental Sustainability from Western University, Canada; an MA degree in International Law and Human Rights from the University for Peace, Costa Rica; and a B.A degree in Philosophy from Obafemi Awolowo University, Nigeria. She is a member UPEACE/US Alumni Advocacy Committee to the United Nations. She successfully completed training as a Climate Project presenter with Al Gore in Nashville, Tennessee, and is the founder and lead coordinator of YEANA—an organization dedicated to facilitating community awareness of climate change and engaging youths as active partners in combating climate crises in Africa. Idowu has authored a number of journal articles and book chapters. Before becoming a Sauvé Scholar, Idowu, who is also known as Jola, worked as a human rights researcher with different non-governmental organizations, including: the International Council on Human Right Policy (ICHRP) in Geneva; Leonard Cheshire Disability Foundation in Sierra Leone; and Freedom House Human Rights Reporting Project in Nigeria. She also served as a volunteer with various other NGOs such as Human Rights Tools in Geneva, Switzerland. In February 2009, Idowu participated in the Second Clinton Global Initiative University (CGI U) Meeting. Her commitment – “Youth Environmental Activists Network for Africa” (YEANA) – was chosen and announced by Former President Clinton as one of new projects that students and universities are undertaking to improve the world. YEANA addresses the knowledge gap regarding climate change by training college students on climate change and ultimately establishing Green Clubs at universities throughout Africa. In March 2009, Idowu was interviewed by the McGill Reporter for her work: Sauvé Scholar committed to positive change for fellow Africans. She also served as a volunteer with the David Suzuki Foundation in Montreal, and the Climate Project Canada in Montreal. In November 2014, Idowu returned to Sauvé House to participate in Sauvé Encore!